Gwen Stefani Is Getting A Field Of Wildflowers!! Forever 21 X USPS Clothing Line - USPS Workers NOT ALLOWED To Wear It! 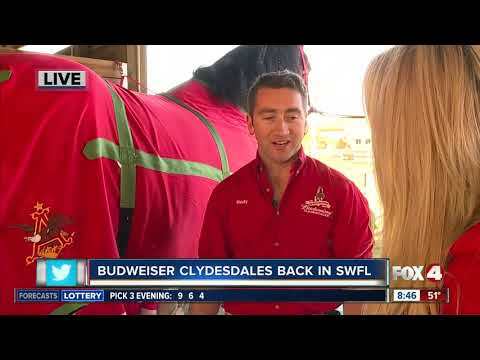 The Budweiser Clydesdales Are In SWFL!! Keith Urban Says Nicole Kidman Is A Maniac In Bed! Lady Gaga And Bradley Cooper Are Electric During Oscar Performance!